Thru-hiking is the ultimate paradox. Walking is good for your body and our bodies are in the best shape they’ve ever been in… But typically we’re eating the poorest quality food we ever have in our lives. 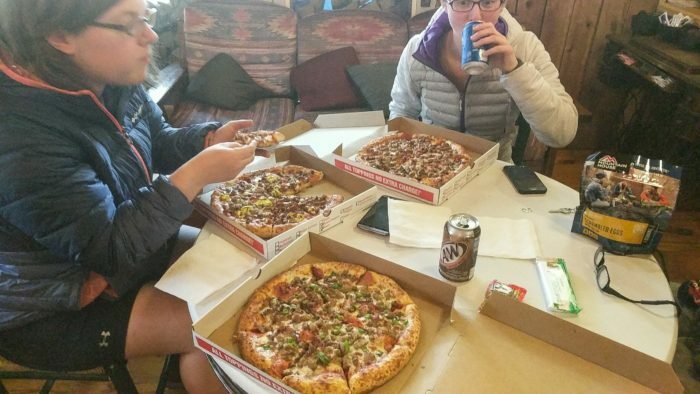 During my 2017 thru-hike of the Appalachian Trail, I don’t think there was a time when I wasn’t craving a pizza, even right after eating an entire pizza. 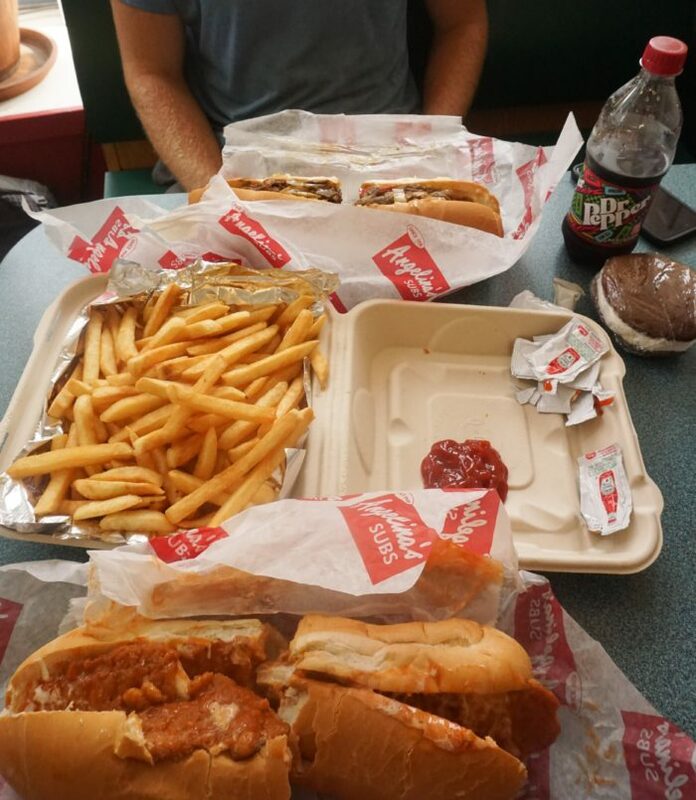 At first I embraced the typical thru-hiker diet. I went all-in on the Pop Tarts and Honey Buns, ending each meal with a handful of Swedish Fish. As a result, my body started to rebel in small ways. I would get a headache and crash the hour after my high-sugar breakfast. I came down with a cold a few times and later a flu with aches and chills. To try to help with this, I replaced Pop Tarts (30 grams of sugar for two pieces) with Belvita (10 grams of sugar for four pieces) for breakfast. By removing 20 grams of sugar I was preventing huge blood sugar spikes and crashes that would leave me feeling shaky, cranky and hungry soon after eating. I began ordering a salad in town to go along with my pizza or burger. Adding in greens and removing some sugar gave me a mental and nutritional boost that better prepared me for the challenge of hiking every day. I began to understand why no high-functioning adult eats like a four-year-old who has been let loose in a candy store. I knew I would have to make better decisions to maintain the body that would get me to Katahdin. I still bought candy and ramen, but tried to focus more on things like beef jerky and trail mix that would sustain my energy. I wasn’t eating well, but I was definitely eating better. This brings me to my Tips for Eating Healthier After the Trail. I am by no means a health or nutrition professional, but I’ve found the trail to be a great impetus for my dive into healthier living after the thru-hike. Enjoy the burgers and pizza while you have the excuse. This license to eat whatever you crave is a mere fantasy of normal people. As long as you’re committed to treating your body well after the trail, you can get away with fulfilling any fleeting food fancy, at least in the beginning. If you start to notice problems with this diet, do what you can to make small shifts. I know it’s hard out there and choices are limited, but little things can make you feel a lot better, like adding in protein and fats to give you sustained energy and removing quickly absorbed sugars. For example, instead of having a handful of M&M’s as a snack, try some summer sausage and cheese or mixed nuts. Instead of ramen or a Pasta Side by itself, increase the protein and satiety by adding in some tuna, jerky, or peanut butter (makes for a delicious pad-thai-esque dish). And if you have the resources, support your diet with supplements. A multi-vitamin can also help to fill in some nutrient gaps of the typical processed food diet. Maybe you’ll keep eating Pasta Sides for a while. I’m not saying you should continue to eat Honey Buns for breakfast, but try to be gentle with your transition. I gave myself two weeks to satisfy any lingering cravings before I cut out certain food groups. One of my favorite snacks on the trail was the Complete Cookie and I continued to seek these out purely because they’re delicious. 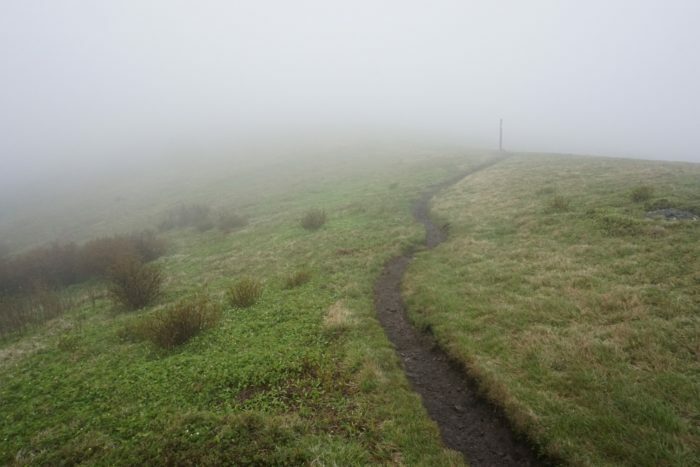 Remember that your thru-hiker body is used to burning an insane amount of calories every day and it’s going to take time to adjust to decreased physical activity. Your appetite will remain the same, but your body’s ability to metabolize as many calories is significantly reduced. By giving yourself time to phase out the thru-hiker diet, you can slowly adjust to your post-trail body’s changing needs. A cheat day once a week isn’t going to ruin your body. Especially if you’ve been doing your best the rest of the week. It will help with morale and will solidify how much better you feel when you’re eating whole foods. Avoiding everything you crave with an iron fist will make you feel restricted and crazy so you’ll end up bingeing anyways. Have a few cookies, pieces of candy or a slice of pizza and notice how you feel. This is all easier said than done. Eating healthier after the trail is challenging because it’s not what we’re used to (i.e. we’re highly addicted to sugar). Sugar has a powerful effect on our brains ¹ and is therefore one of the most challenging foods for thru-hikers to remove from their diet. Snickers and Sour Patch Kids were used as literal currency on my thru-hike. Little Debbies and candy of all kinds are found everywhere, and these sugary snacks give hikers a much-needed boost. Anyone who eats refined sugar can tell you how often the cravings come up, how hard it is to not end a meal with a bowl of ice-cream or ‘just one’ cookie. However, refined sugar can negatively affect aging, Alzheimer’s risk, depression and diabetes risk ² ³ ⁴. Sugar is a beast, and it’s best to start slow when cutting it out to avoid insane cravings. Substituting fresh fruit in place of refined sugar is the best strategy I have found to satisfy your sweet-tooth and keep the sugar-beast at bay. The post-trail depression that most of us struggle with throws another wrench in the mix because it can change our appetites even further and leave us less motivated to start new habits. The Mayo Clinic lists reduced or increased appetite and decreased motivation for activities we would normally enjoy as symptoms of depression ‎⁵. 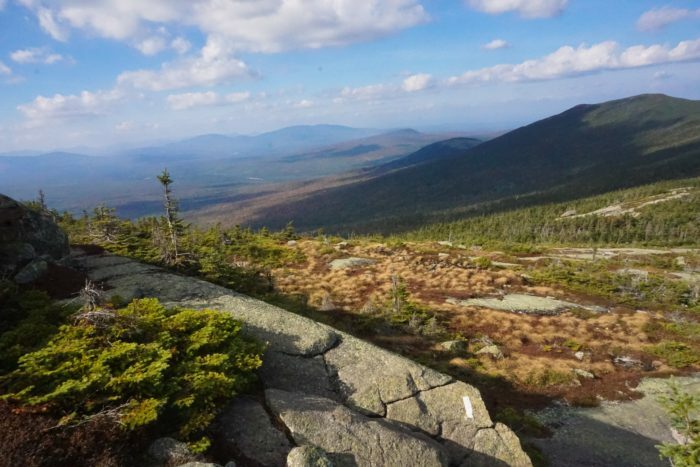 Dealing with the compounding factors of depression, changes in metabolism/appetite, and sugar addiction can feel as difficult as climbing out of Mahoosuc Notch with a 100-pound pack on a hot day. If you have been struggling with post-trail depression, take advantage of the support and solidarity of other hikers on this site and elsewhere. Here are some articles that helped me feel like I wasn’t alone: Mexico, When You Give A Kid a Thru-Hike, My (Un)expected Break Up. I’m not here to shame you or make you feel bad about how you’re eating. I only want to provide a little push for those who are willing and ready for it. Start small, track your progress and notice how your body feels. Finishing a thru-hike marks a fantastic achievement and the beginning of a new chapter in your life. This transition can be rough, but it’s a great time to reframe your new life. You are a different person after your hike, and you probably want to be the best version of yourself. Now is the time for big changes and new habits. 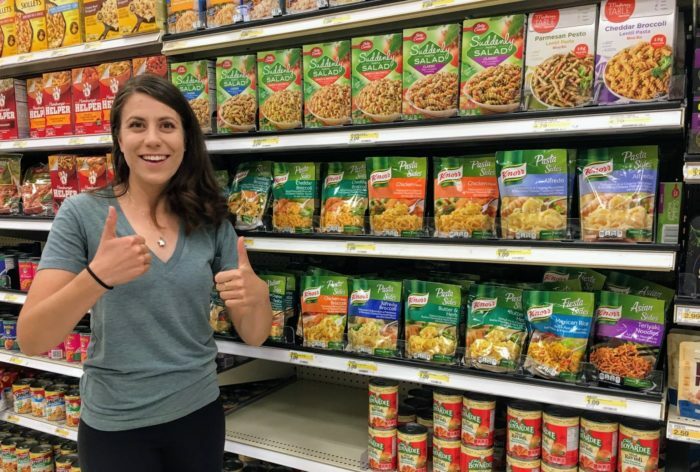 Whether you have a job waiting for you upon your return or you’re still looking for one (like I am), you are probably starting fresh with stocking your pantry. Use this as a clean slate to purchase only food you would be proud to put in your body. For me that meant no longer buying processed foods, doing my best to cut out sugar, and eating as many fresh fruits and vegetables as possible. Do what feels right for you. Just adding in a few more fruits and vegetables can have a marked difference in how your body operates. My favorite way to accomplish this is with smoothies. Throw some spinach in a blender with frozen fruit and protein powder as an easy way to sneak some greens into your diet. If you’re feeling adventurous try adding any of the following: kale, chard, celery, cucumber, beet, carrot, parsley, ginger, or tomato to get all the micro-nutrient goodies your cells need. This is also the first time many of us have access to a full kitchen. This is a great opportunity to reinvigorate a cooking habit or try it out for the first time. If you are new to the cooking game, start small and try not to get overwhelmed. Recipes aren’t necessary. It’s easy to build healthy, nutritious meals simply by starting with a vegetable or legume base and adding your protein of choice. However, if you need inspiration, go here, here, or here. 6. Make a resolution. No matter the time of year. Most NOBOs finish their thru-hike a month before the holiday season begins, which can bring its own set of dietary challenges. It also means the New Year is right around the corner. This is the perfect time to make a commitment to yourself and what kind of body you want to have following the completion of your journey. 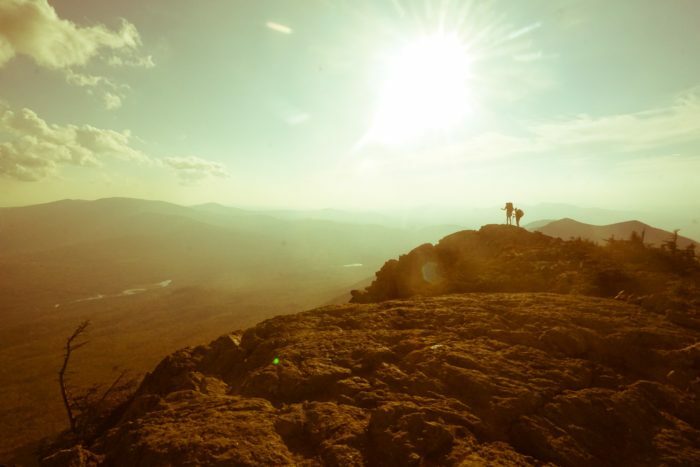 As thru-hikers, we have all been through something absolutely earth-shattering. Something that has tested our bodies, minds and spirits. Try to use this fundamental paradigm shift in a way that will benefit your health. We owe it to ourselves to give back to our bodies in the way the trail has given to us. Just like a thru-hike; it will hurt at first, but you’ll crave it after awhile. Also known as Lotus. In 2017 I thru-hiked the Appalachian Trail. I'm currently hiking around the Arizona desert, trying to figure out my next adventure. PCT 2019? 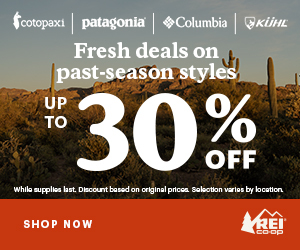 Go for the PCT. only live once. Spent my life working in labs but love and miss outdoor life. Excellent write-up. Just finished a NOBO 2017 thru-hike myself and currently struggling with my diet post-hike. This article couldn’t have come at a more timely manner! Thank you for sharing. PCT class of 2017 here. I’m fat again. Great article! As someone who is planning a through hike this year,my husband and I often wonder about this paradox. Super helpful and well done! Thank you so much, I’m so glad I could help. Best of luck to you and your husband this year!